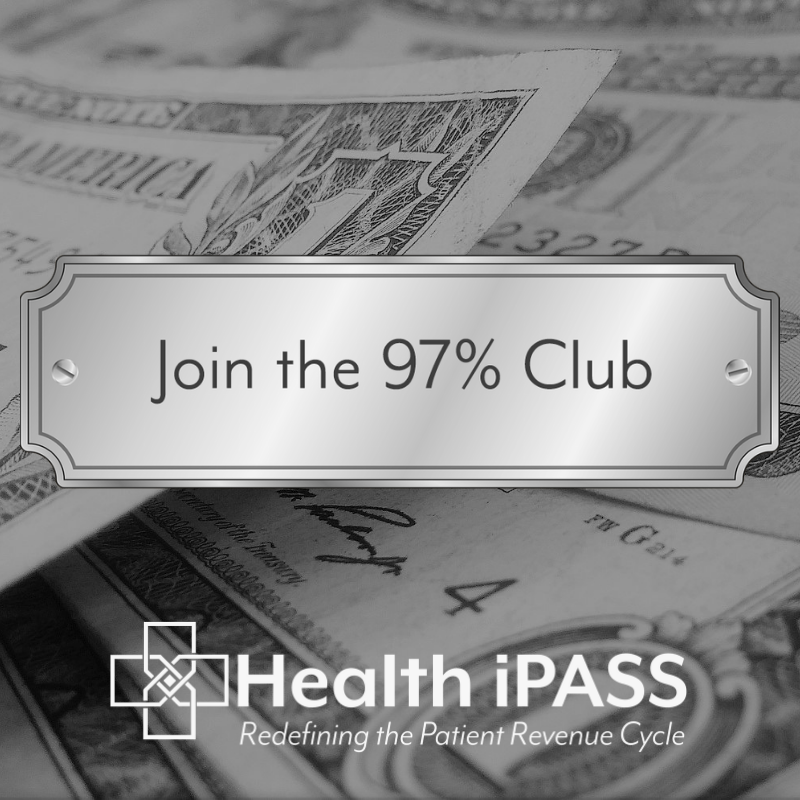 Optimize Patient Payments and Join the 97% Residual Balance Collection Club With Health iPASS! In terms of business finance, there are few things as frustrating as bad debt. The product has been delivered, or the service rendered, but when it comes time for payment, nothing. Recent studies have shown that medical practices accumulate roughly $66 billion in bad debt per year, and this statistic only grows over time as patients bear a larger burden of their healthcare costs due to the prevalence of high-deductible healthcare plans. When factoring in poor patient net collections and aged A/R, the big picture is bleak-- depicting a healthcare industry that is hemorrhaging money, forcing small to mid-sized practices to close their doors forever. What can providers do to staunch the flow of uncollected revenue and start putting money back in their pockets, where it belongs?